As all up-to-date fundraising professionals know, online giving has become one of the most important sources of revenue for nonprofits in the past few years. Online donation forms allow supporters to donate securely and quickly from anywhere in the world, on their laptops and their mobile phones, without licking a single envelope. Of course, online giving didn’t stop evolving at the invention of the online donation form. The field is constantly changing alongside technology and society, and the past year alone has brought with it major advancements in how nonprofits accept online gifts. Ready for the online giving year in review, complete with suggestions for incorporating these lessons into your fundraising planning? Read on! Every year that passes brings more and more functionality to our mobile devices, and charitable giving is no different. Specialized software enables nonprofits to gather donations through mobile-optimized donation forms as well as text-to-give platforms. Social media fundraising: Most social media activity occurs on smartphones, the same platform used for texting. The innovative text-to-give software integrates buttons and links on social media profiles with SMS messaging to deliver a seamless experience. Fundraising events: Instead of remembering to fill out and return paper donation forms or bringing cash or checks to drop in a donation box, donors can text their donation amount to a specific phone number to give during events. Data gathering: You can learn a lot about your donors’ communication preferences and other important information by analyzing the data transferred into your CRM by your mobile giving software. If you want to take advantage of the mobile giving trend in the new year, check out helpful tips from the mobile giving experts at @Pay. The range of technology available to facilitate online giving has greatly expanded in the past year, especially when it comes to integrated software solutions. Connect fundraising event planning to your CRM to see who shows up to your events. Connect fundraising to communications to send automatic thank-yous to donors. Connect special fundraising, like crowdfunding or peer-to-peer, to event planning to host popular events like charity walks, runs, and rides. Because of these advancements in online giving technology, your nonprofit can do much more than just accept online donations. 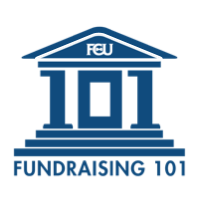 Instead, you can use sophisticated fundraising technology to connect your giving with other elements of your nonprofit operations. That integration will make your operations smoother and more efficient in the new year! It’s not just specialized software that had a strong showing last year — social media also impacted online giving in ways that smart nonprofits will use in the coming year. As donors become more closely connected online with each other and the nonprofits they support, they feel a stronger attachment to the people and causes they care about. Multimedia elements: As much as donors care about the causes they support, boring text-only solicitations get lost on social media feeds. Nonprofits have kicked up their production of videos and infographics that catch their donors’ eyes as they scroll through their social media feeds. Event pages: An event page on social media centralizes important information about events while also providing attendees and organizers a platform to share their own updates and pictures before, during, and after the event. Hashtags: A hashtag for a certain campaign can help donors and fundraising staff alike keep track of progress toward your goals. Nonprofits also include national or international hashtags like #GivingTuesday in their posts to connect with an audience outside their usual followers. Does that last one ring a bell? It should! Read on to the next section to learn more about the impact of Giving Tuesday. Since 2012, Giving Tuesday has served as a response to Black Friday and Cyber Monday. It’s a chance for everyone to kick off the charitable spirit of the holidays together while spreading the word about the causes that mean the most to them. This year, according to the official count, more than 1,640,000 gifts from more than 98 countries raised $177,000,000 online for a variety of charitable causes. Prepare early. Set a plan that includes online giving software that can accommodate a larger-than-normal pool of donations. Get the word out. Share your plan with your donors and other social media followers using the hashtag #GivingTuesday. Execute the plan. Make sure everyone on your team is sharing updates through social media, email, direct mail, and text. Follow up. Send prompt thank-you letters and showcase your donation statistics on your website and social media. Note that the ultimate strategy for a successful Giving Tuesday is following up. Around 30 percent of nonprofit donations come in December, so don’t give up before the most charitable month of the year has begun. Corporate giving has always been an important element of nonprofit fundraising, from popular programs like matching gifts to corporate grants to fundraising event sponsorships. During employee group volunteer days. At the end of the calendar or fiscal year. It’s not just social media that has advanced the landscape of corporate giving in the past year. The proliferation of specialized corporate philanthropy technology has also picked up, making it easier than ever for employees to make their gifts go further. One of the most notable technological players is matching gift database plugins, which are HTML plugins that allow donors to search their employers’ name for information about their corporate philanthropy program. One of the major reasons nonprofits miss out on matching gifts is the lack of awareness on the part of the donor. Plugins that allow donors to search their company’s program right on the donation form or confirmation screen itself raises awareness of the program’s existence and how to participate. There are always trends in the causes that donors in general support year after year. While some causes will always find support, current events and cultural moments can shape the most donated-to causes of the year. In the past year more than others, natural disasters, political activism, and refugee relief came into the spotlight. These trends reflect donors’ growing loyalty to causes, not necessarily organizations. They also reflect the influence of online giving, especially the power of social media to promote causes that might not be in nonprofits’ traditional wheelhouses. Smart nonprofits with missions relating to these causes don’t wait until their next scheduled campaign to ask people who care about current crises. They start a new campaign to provide interested donors a place to do something about it. Just look at disaster relief crowdfunding campaigns championed for victims of the California wildfires or Hurricane Maria. More than ever before, it’s not just possible but actually easy to start a campaign that can reach a large number of people quickly. Of course, we’re talking about crowdfunding. As the past year taught us, it’s not just for individuals looking for help with a college fund or medical expenses — nonprofits use them too! The great thing about crowdfunding is that it can spread beyond the contacts on your mailing list. All you need are a few loyal supporters to start spreading the word to their own social circles, and the news will radiate outward from there. Campaign page customization and branding options. Low processing or platform fees. As you sit down with your leadership team, keep the lessons of the past year’s online giving trends in mind. With the past to guide you, the future looks bright! John Killoran is CEO of @Pay, an exciting new fundraising technology that makes it easy for people to donate in two clicks from text, email, web and social media sites. John pioneered SMTP payments and has been a major innovator in the mobile payments space for the past 5 years." Online giving indeed has changed over the years. Understanding and adapting to these changes can benefit non-profit organization. Had fun reading your insights. Great post!